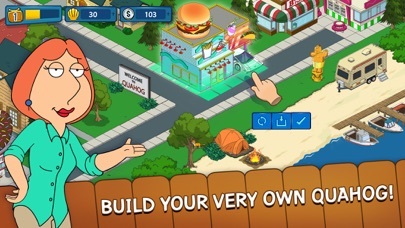 After another epic battle with the giant chicken, Peter Griffin has accidentally destroyed Quahog! 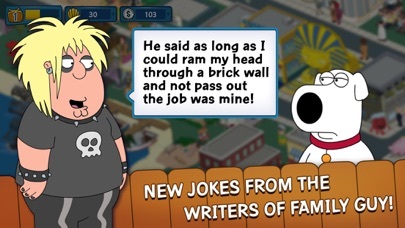 Play for FREE and rally your favorite Family Guy characters (even Meg) to save the city in a hilarious new adventure from the writers of Family Guy. Or don’t, and regret it forever! EXCLUSIVE CONTENT ONLY ON THE APP STORE: Play the “Fool’s Gold” quest line to help Peter realize his dream of becoming filthy rich! 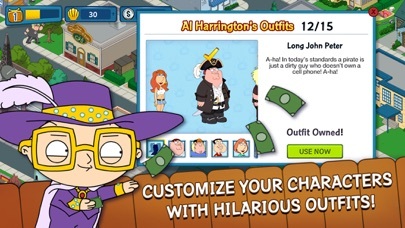 ONLY available for players on iPhone, iPad, and iPod touch devices! • It’s Free! Freakin’ free? Freakin’ sweet! PS: You can play this game in French, Italian, German, Spanish, Russian, and Brazilian Portuguese! 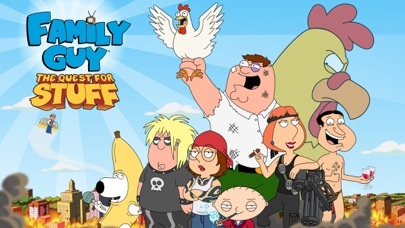 PPS: Don’t forget to watch new episodes of Family Guy on Sundays - only on FOX! 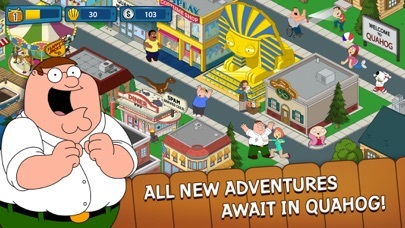 Release Notes: The Griffin Family is celebrating 5 years of Family Guy: The Quest for Stuff. As a thank you to the fans, the Griffins are donning their gold suits from the show's opening sequence and performing a jaunty musical number. However, the performance runs into a hiccup when the backup dancers go on strike. Will Peter be able to get back the dancers before they’re called to the stage? Play our 5th Anniversary event to find out! I love the game but I feel that some of the events are to short, and that only people that don’t sleep can get new characters and outifits. This game is the best game! 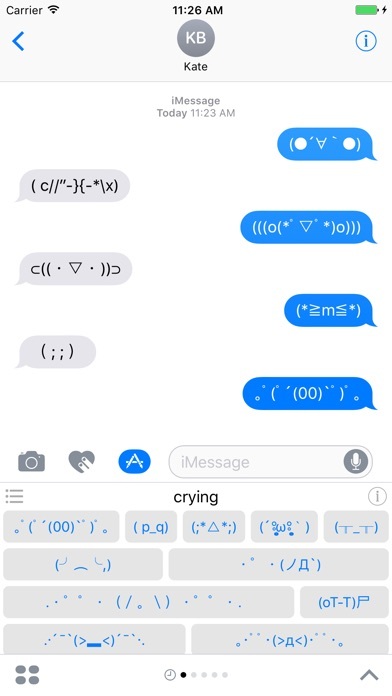 My favorite mobile game yet! Please keep this thing going! Need more quests and characters and less quantities to gather to collect items!! I love this crazy game. The game really does put a lot of work into getting you hooked, and it makes it fun too! I am quite fond of this game. I am on level 86 and have never spent a dime of my own money. Sometimes it gets tedious going through all the characters that don’t fit in the hotel. I wish they would make more space to hold characters. Other than that, more land would be great! Keep up the fun game developers! Of course this is good it’s family guy keep y’all work up it’s good periodt. This game will cheat you out of clams! Watching the daily video for you five free clams, you will run into issues with the videos freezing or becoming unresponsive causing you to close the game and reopen which causes the loss of clams. Very unstable. Either the developer is causing this or they have some bugs they don’t worry about. Do what you got to do to make people pay to play your game I guess. It’s a really fun game. It’s been down for like 6 months and they finally fixed it😍😍😍😍 thank you! Looks like I can play again after newest update.. it’s been down for me since October 18..
Do events reloop, so if I wanted Death from whatever year he would come back eventually. Get the latest stickers to your inbox each week. Are you an Artist or Brand? 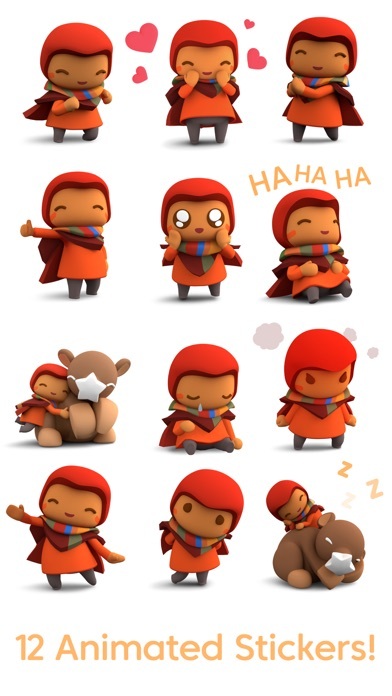 Sticker List showcases the most beautiful new stickers every day. 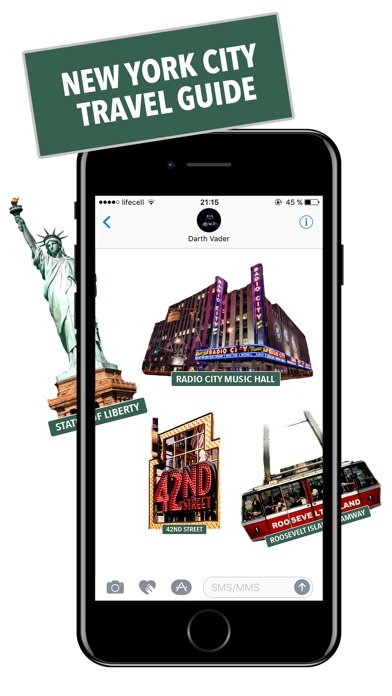 We help Artists & Brands publish and promote their own stickers. With helpful Resources and Tutorials for creators.